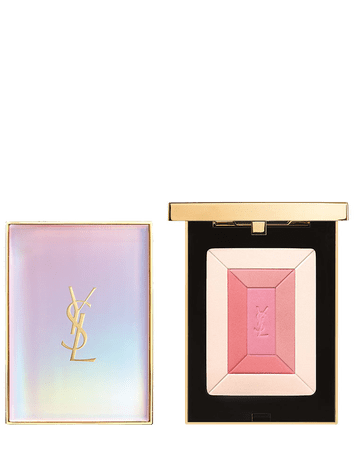 Yves Saint Laurent Beauty presents “Shimmer Rush,” a new makeup collection channeling energy, freshness and shimmer for spring 2019. The collection’s new beauty must-haves are available now. Yves Saint Laurent Beauty is right on cue with a new makeup line playing with colours, contrasts and visual effects. rushing over her, the sparkling beat begins. The collection centerpiece is an all-in-one palette, the “Shimmer Rush All-Over Palette,” featuring four eyeshadows (a pearly white with pinky highlights, an iridescent sand, a burnished pink and a glittery purple), and two cheek and lip colours (a coral pink and a matte pink) to create ultra-chic natural looks plus sophisticated shimmery effects. 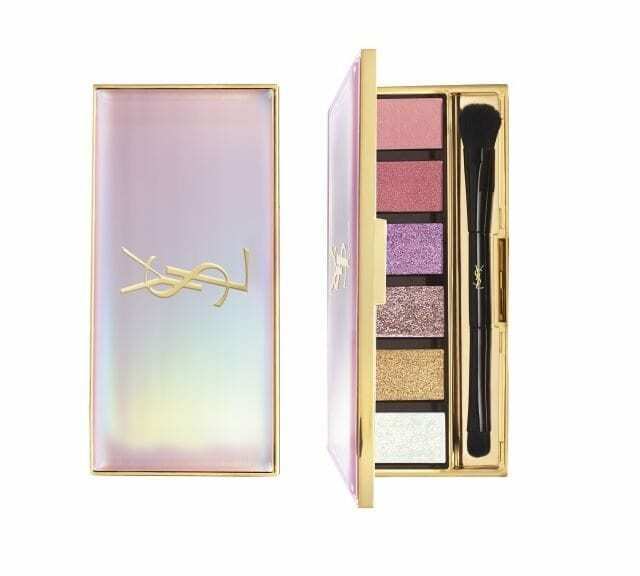 For a light, radiant glow, Yves Saint Laurent Beauty’s “Shimmer Rush Face Palette” contains four fresh, rosy shades for a radiant spring glow and a fresh-faced feel. Shimmer and colour also come to lips with two new shades of “Rouge Volupté Shine” lipstick — a pale pink with blueish nuances and a glittery purple — and two shades of “Volupté Liquid Colour Balm” lip gloss, in a glossy mauve and a mouth-watering pale pink. The “Shimmer Rush” collection is rounded off with “Couture Eyeliner” in silver and glittery black, and “La Laque Couture” nail polish in three shades: a vibrant coral, a shimmering white and a sheer glittery pink. The collection is available via duty free retailers and via the Yves Saint Laurent Beauty e-store.